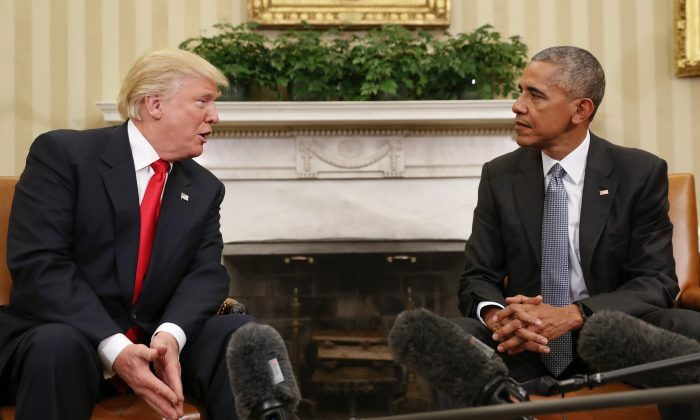 On March 3, President Donald Trump accused President Barack Obama of wiretapping phones at Trump Tower before the election. “Terrible! Just found out that Obama had my ‘wires tapped’ in Trump Tower just before the victory. Nothing found. This is McCarthyism!” Trump tweeted. Trump asked Congress to investigate the matter. What’s the Origin of the Accusation? The wiretapping accusation appears to originate from a story broken by Louise Mensch in a Nov. 7, 2016 Heat Street article. On Jan. 19, The New York Times, via unnamed sources, revealed three men connected to Trump who were allegedly investigated for their connections with Russia: Paul Manafort, Carter Page, and Roger Stone. The article also acknowledged the investigation may have nothing to do with alleged Russian interference with the presidential race. Manafort was a longtime PR adviser for the pro-Russian political camp in Ukraine. 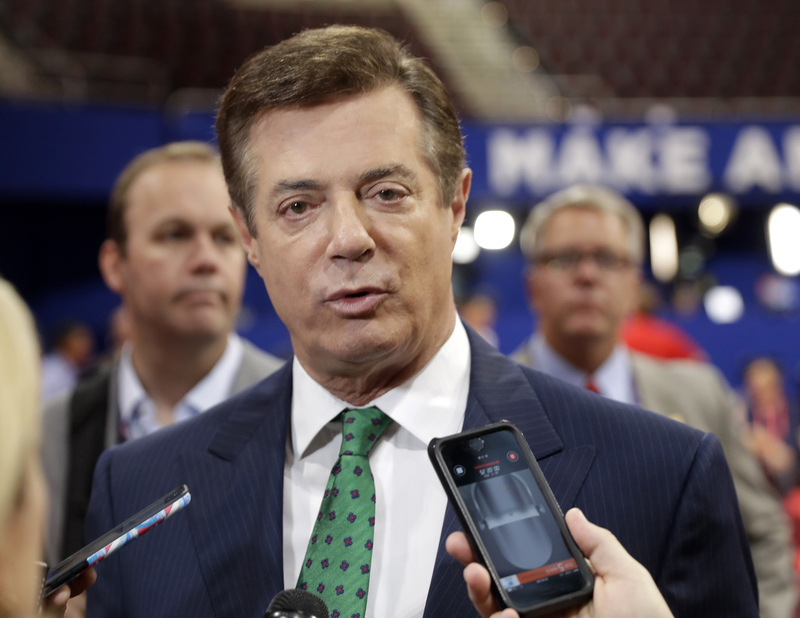 Trump enlisted Manafort as an adviser in March 2016 and encouraged him to quit in August when his dealings in Ukraine surfaced. The Times reported then that Manafort may have helped the Ukrainian politicians launder money. An intelligence official told the Times that the FBI looked into Manafort for his Ukrainian connections, not necessarily for any Russian influence on the Trump campaign. Carter Page was an average investment broker with virtually no influence either in Russia or in Trump’s campaign, wrote Julia Ioffe, who dug deeply into Page’s Russian dealings in a Sept. 23 Politico article. Ioffe wrote that Page may have tried to inflate the significance of his Russian connections after Trump once listed him among his foreign policy advisers during an interview. Page allegedly met with one Russian official and a top executive of a major Russian oil company in July 2016, a “Western intelligence source” told Yahoo News. However, based on Ioffe’s reporting, such meetings would have been way out of his league. Roger Stone is a Republican strategist and lobbyist who worked early in Trump’s campaign and had long been an advisor to the candidate. However, Trump fired Stone from his campaign in August 2015. 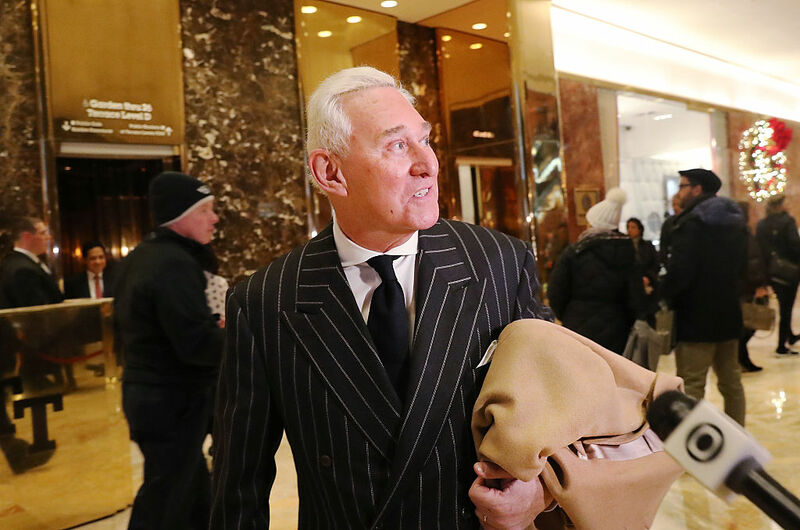 Stone may have been on the FBI radar because his foreknowledge of Wikileaks obtaining emails of the Democratic National Committee (DNC) and John Podesta, ex-chairman of Hillary Clinton’s 2016 presidential campaign. “Trust me, it will soon the Podesta’s time in the barrel. #CrookedHillary,” Stone tweeted on Aug. 21. The Obama administration’s intelligence leaders suspected the DNC hack was commissioned by the Russian government. A congressional inquiry into that matter continues. Stone said he knew Wikileaks obtained the emails, but denied the connection with Russia. Julian Assange, Wikileaks founder, also denied Russians were the source. The NSA has real-time access to phone calls, emails, text and instant messages across the United States. In that sense, virtually all phones are wiretapped. The question is who can access the data and for what purpose. Mensch, who broke the wiretap story, wrote that the FBI obtained the wiretap warrant to investigate communication between a server at Trump Tower in New York and Russian Alfa Bank. The server communication was reported on Oct. 31 by Slate contributor Franklin Foer. Several experts told him the communication resembled email conversations, though none of them accessed the contents of the communications. The FBI looked into the matter for weeks and “ultimately concluded that there could be an innocuous explanation, like a marketing email or spam, for the computer contacts,” unnamed intelligence officials said, according to Oct. 31 The New York Times report. Mensch didn’t explicitly write that the FBI wiretapped any phones in Trump Tower. But she wrote “it is thought in the intelligence community” that Trump himself was targeted. James Clapper Jr., former director of national intelligence, said that, to his knowledge, there was no wiretap at Trump’s offices. “There was no such wiretap activity mounted against the president-elect at the time, as a candidate or against his campaign,” Clapper said on NBC’s “Meet the Press” on March 5. The denial is open to interpretation. Since everything is wiretapped, did he mean FBI wasn’t granted access to Trump’s communications? On Jan. 19, The New York Times reported “intelligence agencies” were looking at “intercepted communications” of Manafort, Page, and Stone, but not Trump. Obama’s response to the wiretap accusation could be interpreted as sidestepping the issue. The unanswered question is whether Obama knew about or approved any such surveillance, McCarthy wrote. Can the President Legally Request Spying on Americans? McCarthy explained that there’s nothing wrong with the president asking a FISA court to order surveillance of people deemed agents of foreign powers. “[I]t is to enable the president to carry out his personal executive duty to protect the United States against foreign threats,” he said. A problem would be if a president requests such surveillance for a political purpose. Obama would have been in the wrong if he sought wiretaps of Trump and his associates to damage Trump. FBI sought a FISA court order “which, sources say, named Trump,” in June, Mensch wrote. But the request was denied. The court approves more than 99 percent of applications, though one in four warrants get sent back for additional information or is curtailed, a 2013 letter from the FISA court stated. When the information about the server at Trump Tower emerged—in September according to Slate—the FBI narrowed down the FISA request and submitted it again. This time it was granted, according to Mensch’s sources. If the warrant didn’t include Trump or his offices, it means the FBI didn’t have a probable cause to believe Trump was influenced by Russia. If the warrant did include Trump, then Trump’s tweet is based on fact.